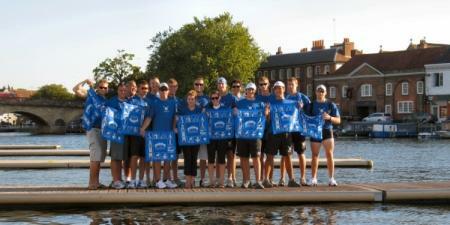 Grand Valley Rowing’s contact for housing in Henley-on-Thames, UK is Maggie Atkinson. Housing contact information can be found below. Attending numbers at the Henley Women’s Regatta will be 11 female athletes, 2 female coaches, 1 male coach and 1 female administrator. 15 total. They will Arrive on Sunday June 16, 2013 and Departure will be on Sunday, June 23, 2013. The Women will then move to the Oxford University Youth Hostel in Oxford, UK until Thursday, July 27 and will then fly back from Gatwick. Attending numbers at the Henley Royal Regatta will be 11 male athletes and 3 male coaches. They will Arrivel on Sunday, June 23, 2013 and Departure on Monday, July 8, 2013. Check grandvalleyrowing.com for new information and fundraising opportunities. As always, Keep Pulling for the Laker Navy!